Built with a high quality, durable CD drive that is controlled by a Blue Tiger Servo board, the CD Box DS is designed to read CDs perfectly without need for any error correction and minimal jitter. 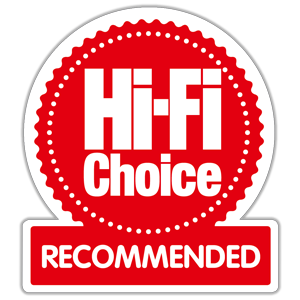 The CD Box DS’s on board D/A converter boasts a Burr Brown 24-bit/192kHz chip, with eight-times oversampling that delivers a true high end quality for play back of your CDs. "...the CD player...and the Pre Box have nice clear informative displays." "Internal assembly is very good, not to say ingenious..."
"...neat and efficient and free of nasty-looking bodges." "...lovely way of presenting all the detail in a recording unfussily but very neatly, making it easy to pinpoint instruments and voices." "...midrange and treble seem very even-handed. Energy and rhythm are good too..."